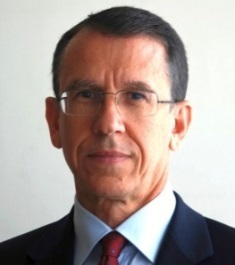 President of the Atlantic Treaty Association and President of the Italian Atlantic Committee, Fabrizio W. Luciolli is Professor of International Security Organizations, Military Policy, and National Security Policy at the Center for High Defense Studies of the Italian Ministry of Defense (2000-2015). He is a regular lecturer in various national and international, military, and academic institutions. Coordinator of Training Courses for military officers and diplomats in the Western Balkans and Middle East, he is Director and promoter of NATO and EU cooperation projects in Central and Southeastern Europe and in the Mediterranean countries. Prof. Luciolli is also a Consultant on foreign affairs and security matters to various Governments and Members of Parliament as well as Advisor for International and Institutional Relations of private groups. He is the author of several papers and articles published in national and foreign journals.